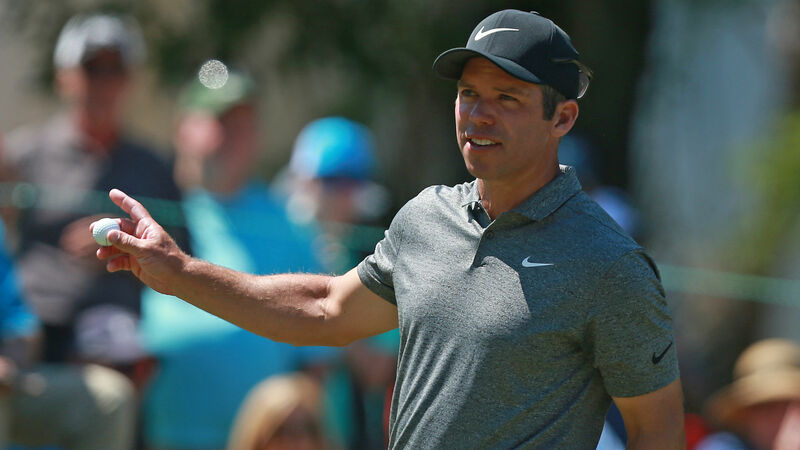 Paul Casey maintained control of the leaderboard despite a hot Dustin Johnson and Jason Kokrak. In Round 3 of the Valspar Championship, the 2018 winner shot 3-under 68 to remain at the top spot. Casey carded five birdies, including a final one on the par-5 14th hole that helped solidify his position in first place at 9 under. Johnson nearly caught up to Casey after his near-perfect round. The current world No. 1 had three birdies in four holes on the front nine but carded a bogey on the par-4 9th hole before making the turn. Johnson finished with two more birdies as he made his way through the back nine at the Innisbrook Golf and Spa resort in Florida, but couldn’t sink another and sits in second place one shot behind Casey. He still ended the day with his best round of the tournament, 4-under 67, after some very impressive shots. Kokrak is also in contention after a hole-in-one on the par-3 15th hole moved him up to third place (7 under). The early feat moved Kokrak, who has yet to win on tour, into a tie for the lead with just a few holes remaining. But a bogey on the front nine and just four total birdies weren’t enough to best Casey or Johnson. Both Luke Donald and Scott Stallings dropped into a tie for fourth place (6 under) while a number of golfers moved into the top 10. Jim Furyk​, Nick Taylor​ and Louis Oosthuizen all climbed up the leaderboard to join Curtis Luck​ in a tie for sixth place (5 under). There’s a sizable tie for 14th place (3 under) that includes Bubba Watson and just two golfers vying for a top spot in 12th place (4 under), Brian Stuard and Matt Jones. The final round will begin at 8:30 a.m. ET on Sunday.